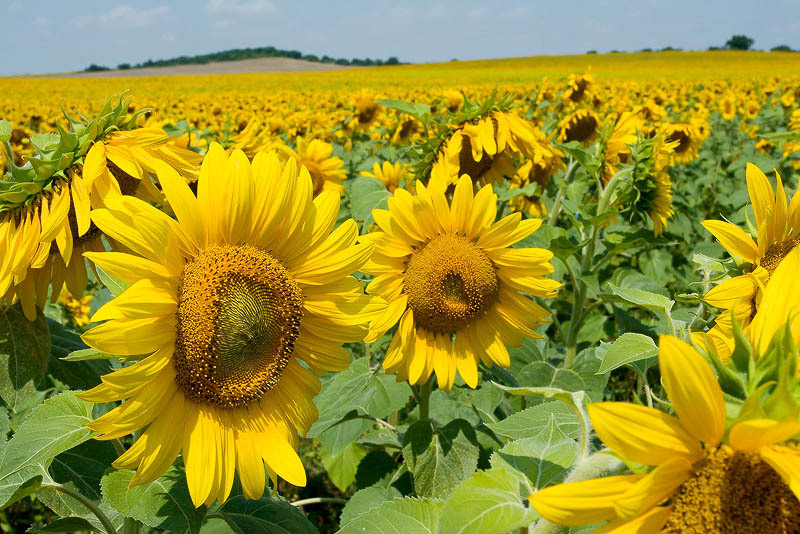 Scenery of yellow blossoms of sunflowers. Blooms of sunflower plants. Farming culture. Agriculture.